​For the best, affordable care and cleaning of your drapes, curtains, carpets and blinds call us today for a free estimate. Since 1985, Somers Drapery and Carpet Cleaners has been serving Sarasota and Manatee counties. With over 33 years in business we have the experience, knowledge and equipment to help you with your cleaning needs. We are one of the only professional facilities in Sarasota and Manatee counties, designed to clean draperies and window coverings. Let our experience and knowledge work for you by getting your drapes, curtains and blinds cleaned today. Call now for a FREE estimate! All of our facilities, and processes for cleaning, are designed around the correct care of your drapes, curtains and blinds. From the moment we take possession of them we treat them like they are our own, with the greatest attention to detail. This detail shows in the brilliant clean we provide all of our customers. Somers Drapery & Carpet Cleaning has been in business for over 33 years. We know a few things about cleaning drapes, blinds and more. Learn more about any of the services we offer by clicking below. Lets do business together. We are the only drapery cleaning service in Sarasota that removes 99.9% of all bacteria, alergens, mold spores and dust mites. ​If you wonder when you will get around to cleaning your blinds, give us a call. You will love the way they look. Or learn more about blind repair. We clean carpets and area rugs. Contact us and we will give you an estimate. Your carpets will thank you. We are the only cleaning service in the Sarasota and Manatee Counties that are properly set up for cleaning large drapes. We use a true dry cleaning process that does not use any liquids or harsh chemicals. Get rid of those mold spores, dust mites and bacteria today! 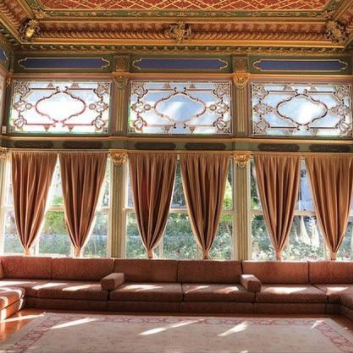 We also clean curtains, liners, luminettes, silhouettes, valances, pleated shades and sheers. Carpets take a beating. We can help bring your carpets back to life with a deep cleaning. One thing that sets us apart from our competition is that we make sure to extract as much water as is possible to leave you with the driest carpet possible. No two day soggy socks when we clean! We would love to help you with your upholstery cleaning and protection as well! We offer a carpet and upholstery treatment to help resist staining and prolong the fresh clean look and feel of your carpet or upholstery. While we are there we can also clean your tile and grout! Rugs are an important element in any room and we take the very best care of all of your oriental and area rugs. 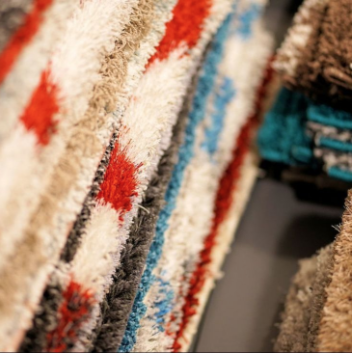 Each rug we clean is handled with the utmost care to ensure the quality you deserve. 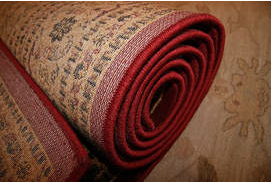 We take rugs through a very specific and calculated process to ensure the proper clean. We inspect, pre-treat, wash, re-inspect, rinse and dry. Click to learn more about our cleaning process. We have a unique way of cleaning blinds that uses an ultrasonic cleaning system that cleans dirt and grime away. We always inspect and treat any problem areas before cleaning and quickly drying your blinds and preparing them for pick-up or delivery. Blinds come in many different styles and materials. Vertical, mini, faux wood, venetian and bamboo just to name a few. We are proficient in the treatment, cleaning and care of all of these styles and materials. Sometimes your blinds just want to stop working. Nothing is more frustrating that jerking on that cord trying to get your blinds to lower. 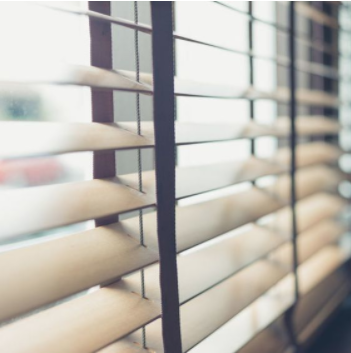 Let us help you with your blinds. We are experts so you don't have to be. We can come, take a look and give you a price based on your blinds. We also measure, order and install new blinds from Hunter Douglas, Vista and Comfortex. Call now to talk with someone about new blinds. Any time you are painting or renovating is a great time to have us come and take your blinds for cleaning and repairs. We can bring them back clean to match your newly renovated look.